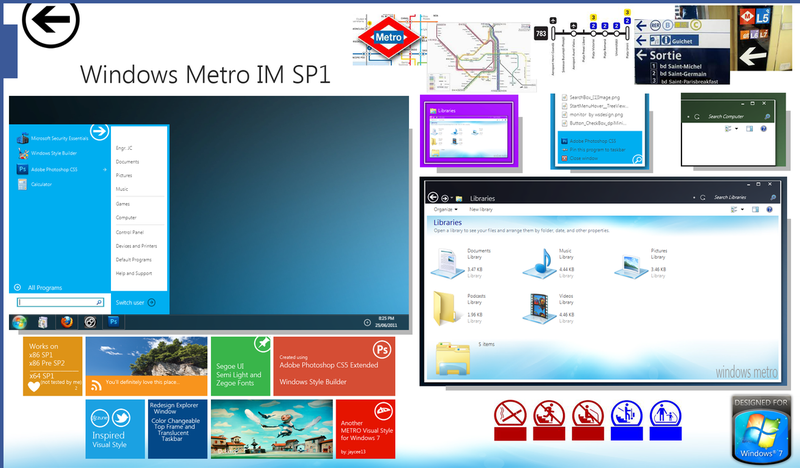 Update: The first upgrade of Windows Metro IM has been released HERE! Thanks to all the viewers who spend some of their precious time just to look on the preview and gave favs and comments!! This is for you guys!! ***The package is complete with theme installer and start orb changer (for the system files). ***For the first timers, don't worry, detailed instruction is included in the pack. ***Again, a friendly reminder, always back up your files before performing any modifications on the system files. Happy Theming and see you all on the next VS!!!! Looks nice! Thanks for your hardwork. Thanks!! It's successor is almost done and due for release next week after beta testing. Good work but I'm not a big fan of Metro on desktop. It looks good only as the tiles on a touch screen device IMO. I'm not either. But this work looks too good to avoid spending time on. Explorer and start menu looks good. You needs a better taskbar. i saw this one on Deviant art last night. Looks good! Thanks for the feedback. Small remaining items to be tested and hopefully can be done within the day. 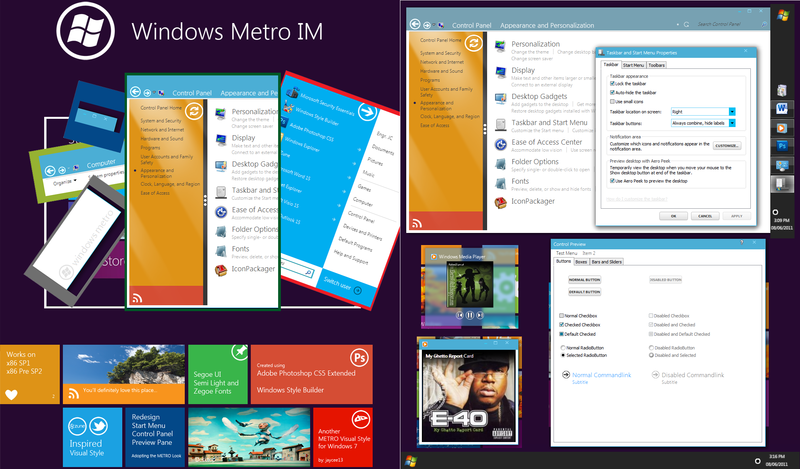 As for the taskbar, I made it that way to complement to the simplicity and flatness of Metro. Nice Windows 8 inspired Theme thanks for sharing !